Drake showed off both his dedication to new Apple Music and some deep seated desire to see what it's like to be everyone from Oprah to Miley Cyrus. He released the new video exclusively on the Apple Music app, but it didn't take long for it to leak onto other platforms. The single, Energy, comes from his newest album If You're Reading This It's Too Late. Take a look at all of the super-imposed creepiness that Drake infused on this laid back song. It's so quiet and strange and she mentions Drake multiple times. "Don't kiss Drake no matter how many times he begs you to"
Because this happened and she just doesn't want you to forget about it. At least she seems to have taken out her grill for this one. Why is Madonna everywhere all of a sudden? 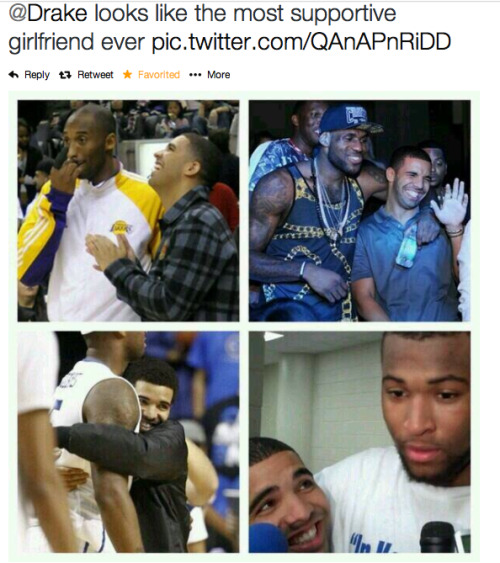 Including in Drake's mouth? She surprised his Coachella set this weekend with an unwarranted smooth, leaving him seemingly appalled at the oral intrusion. Remember when she kissed Britney Spears? That was 12 years ago. Congrats on your old. Ever Wish Google Had More Drake? Developer Tyler Smith made your wish come true. Jimmy Kimmel dresses Drake up in a disguise to get the opinion of random people on how he did hosting this year's ESPY awards. Don't you just want to hold him and tell him it's all going to get better soon?